After what's felt like the longest wait in the world, Drake is finally dropping Views . The album will be released exclusively through Apple Music on Friday, April 29, but users can listen to it a few hours early — at 10 p.m. on Thursday, April 28 — on Drake's OVOSOUND radio show on Beats 1. While it's nice that Drizzy has a loyalty to Apple, I can't be the only one wondering: When will Views be released on Spotify? Considering the rest of his music is already available on the streaming site, I imagine it won't be too long. Especially since fans have had to wait so long for the album in the first place. When he first released The Life Of Pablo, Kanye West claimed the album would only be available on TIDAL, but it turns out, that's not the case anymore. Now, fans can listen to it on Spotify, Google Play Music, and Apple Music. I think that as much as Drake wants to maintain his connection to Apple, he won't deprive fans of his music. After all, in 2015, he was one of Spotify's most streamed artists. There's no way he'd want to lose that momentum. As for when it'll hit Spotify, the biggest hint may be in the fine print of the recently released album trailer. At the end, it says, "Exclusive for a limited time on Apple Music and iTunes." Key words: "limited time." This makes me think that after a week or so, he'll bring the album to Spotify. 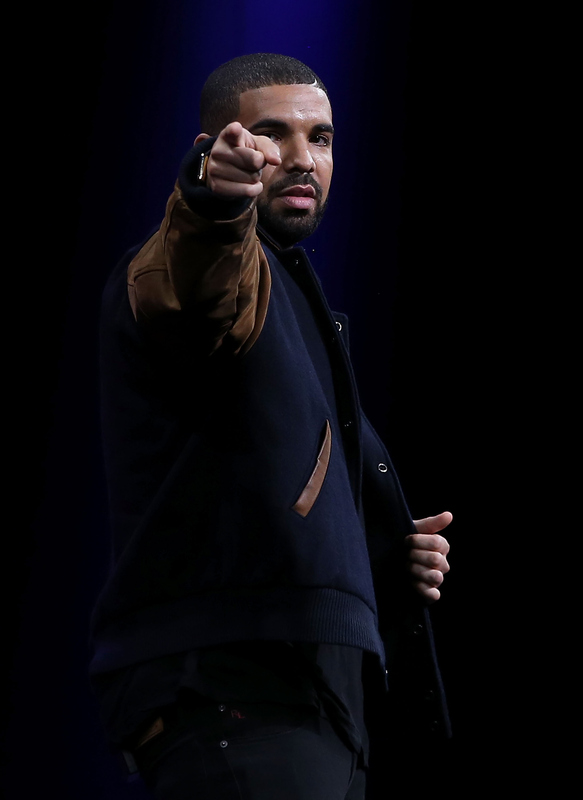 Earlier this month, he released "Pop Style" and "One Dance" via Apple Music initially, but eight days later, both tracks made their way to Spotify. It could be a similar timeline. In this day and age, it's smart for artists to cater to whatever way their fans want to listen to their music. Of course, I'm not saying to make the musicians feel slighted (like in Taylor Swift's previous Spotify debacle), but I mean that if they really care about reaching their fans, they'll hopefully put out tracks on the platforms they know they're using. After all, when Drake first began his music career — you know, when he was fresh off the Degrassi set — his mixtapes were free online, like Room for Improvement and So Far Gone. To me, this shows his main priority is getting his music out there to those who want to hear it. As the saying goes, Drizzy really did start from the bottom... now he's here. And hopefully that "here" soon means Spotify, too.